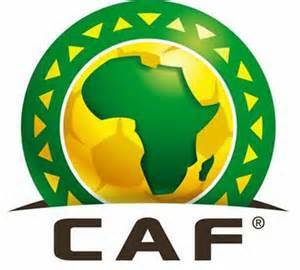 CAF Confirms FIFA’s Approval of CHAN, Set to Be Incorporated Into Its Monthly Rankings. The Confederation of African Football (CAF) has confirmed that all matches played in the African Nations Championship (CHAN) finals will now be taken into account by the world football’s governing body, FIFA, in conducting their monthly ratings. CAF president, Issa Hayatou, had earlier expressed optimism that FIFA would grant the biennial tournament its rating approval on arrival in Cape Town last weekend. The FIFA decision, which was imposed with immediate effect, means all CHAN matches played until the 12th of January will be taken into account in conducting the next FIFA Rankings due for Thursday, January 16th, 2014. “This marks an important step taken towards the development of this Competition and of football on the local level within the Continent,” Hayatou said, while commending the recent development in Mangaung (Bloemfontein), where he had been attending the matches of the first day of Group C, this Monday, January 13th 2014.. The February Ranking will incorporate all other matches of the competition, which spans from January 11th- February 1st 2014. “It shall further encourage the youth of our Continent, for whom the CHAN had been created to serve as an additional platform that brings to the attention of the world all the talents of which Africa is loaded”, stressed Hayatou. CHAN Duo Ali, Zango Make Pillars Squad for Kinshasa as Abdullahi Sits Out. Previous articleFegor Ogude Joins Russian Club Amkar Perm.